So much happens in this issue! 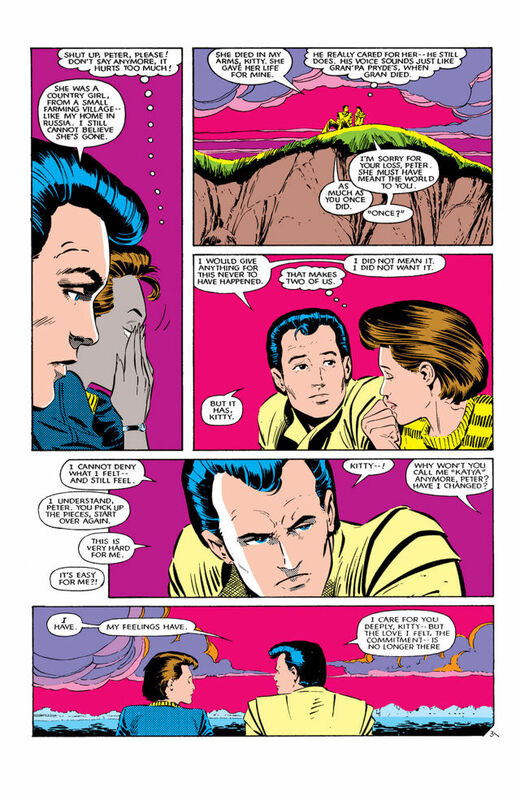 Issue opens with Colossus explaining to Kitty why they have to break up. He fell for Zsaji during Secret Wars. She died there, so he could not explain to Kitty what happened, though it would be so awkward with how the rest of the X-Men know what happened. Poor Kitty during this entire scene, we get her continued mental monologue. He wishes he had the right words. She asks him if Zsaji was pretty and he describes her like a poetic, something he could never do about her or to her. He keeps talking and her world just shattered. The problem is that if he could fall so easily for another woman, then how much could he really love Kitty. Then with a turn of the page, Kitty has moved on. Or at the very least, is done with this nonsense and wants to be done with this conversation. Kitty is walking back to the mansion, they were on a hill top. She is thinking about calling her mother, and get some advice. Which is nice as in 2014, she hasn’t thought or seen her mother, on page, in years. 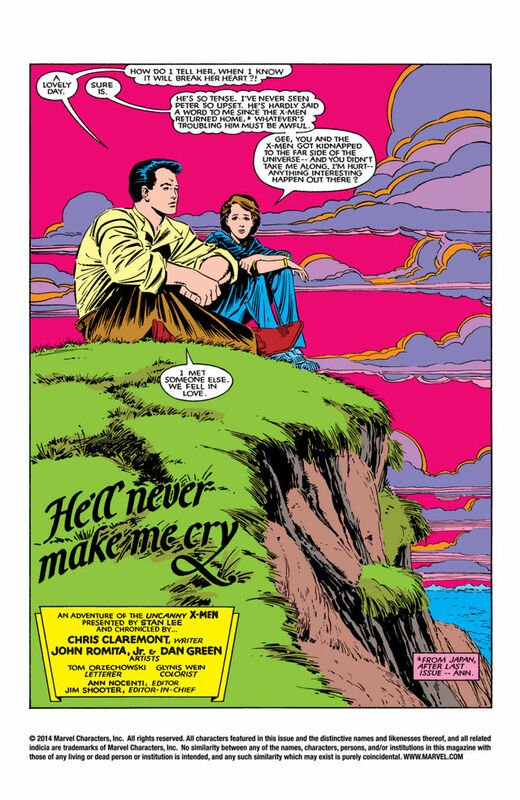 She tried to see her once towards the end of Excalibur, during Douglock’s initial appearances but had to save lives. Weird how joining the X-Men means abandoning your old life. Kitty sees Storm watching her walk back. She realizes then that all of the X-Men knew what Colossus was doing at Battleworld. Kitty makes her way to her room. Illyana asks how the conversation with her brother went. Lockheed is sitting between some books on her shelf above her bed. Which clearly she sets her books that way for him, which is adorable. Also adorable? Lockheed’s kwooo? He cares for her so much. 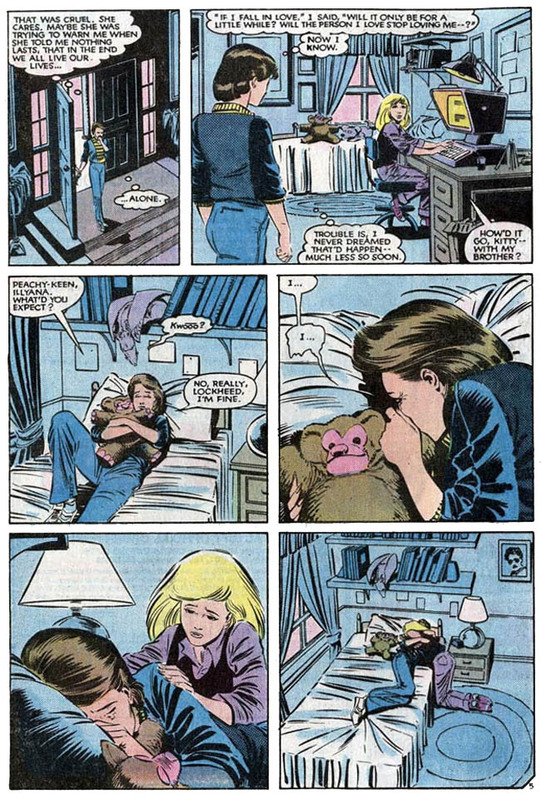 Illyana walks over to Kitty as she starts to cry into her teddy bear. Kitty finishes crying on Illyana’s shoulder. Storm sees Rogue in the Danger Room. Rogue is fighting some robots. Last issue, the Carol Danvers’ personality came out, big time. Rogue is hoping she is still in control, but fears she may not be. Storm, on her own, wishes Xavier wasn’t gone this weekend with the New Mutants. She also wishes Colossus died on Battleworld rather than have him hurt Kitty. Colossus finally makes his way back to the mansion. Wolverine tells him that the two of them are heading out. Kurt tags along to make sure Colossus isn’t too hurt. Storm finds Kitty packing a bag. Kitty is heading to Chicago to spend time with her father. She will come back when she is done crying. She will be heading off to what will be the Kitty Pryde and Wolverine miniseries. In Dallas, Val Cooper and Raven Darkholme discuss that there is a building mutant problem. In Manhattan, at Monahan’s Bar, is the true point of the issue – and cover feature. Colossus is almost twenty and earlier, Kitty comments that she has been on the team for two years, so she is close to sixteen. Wolverine is getting Colossus drunk. Wolverine wants Colossus to explain himself. The two of them talked about marriage. Then Colossus got scared when Doug showed up, as he had so much in common with Kitty. Then Wolverine smells Juggernaut and forces Colossus to spill his drink over the villain. Juggernaut shoves Colossus through a wall. He armors up and charges him. Kurt wants to help but Wolverine stops him. He was going to fight him so this is win win. Juggernaut jokes that Colossus should call the X-Men, and he states he doesn’t beed them. I like that Colossus can’t place his sparring partner at all, Juggernaut has to say his name before he recognises him. I also like how Juggernaut keeps calling him Colossus, he took the time to learn his name. The other people at the bar try to leave. Someone comments that it is a good thing the bar is insured against super hero battles. It is details like that that I adore, the real day to day realities of living in Marvel New York City. At the end, Juggernaut drops the bar on Colossus. He tells us where this is in his continuity, this takes place after Amazing Spider-Man 230, which is a great story. Juggernaut sees Kurt and Wolverine. He tosses a wad of cash, to cover the damages. Earlier, Wolverine had also offered to pay for the damages. Juggernaut tells the two standing X-Men, that Colossus should be proud for holding his own. Colossus is upset for the two of them not helping out. Wolverine quotes that he said he didn’t need their help. Wolverine starts asking Colossus all of these questions. We stand together? Through thick and thin? No matter what? We go to the wall for each other? Pay the price, make any sacrific, their lives, even their honor? 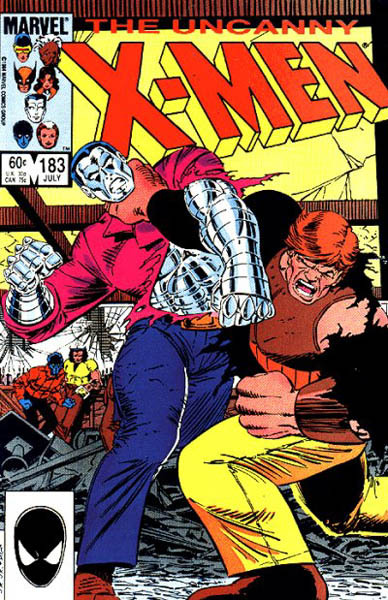 Of course, Colossus is answering in the affirmative, not seeing where this is heading. Wolverine finally drops the other shoe. 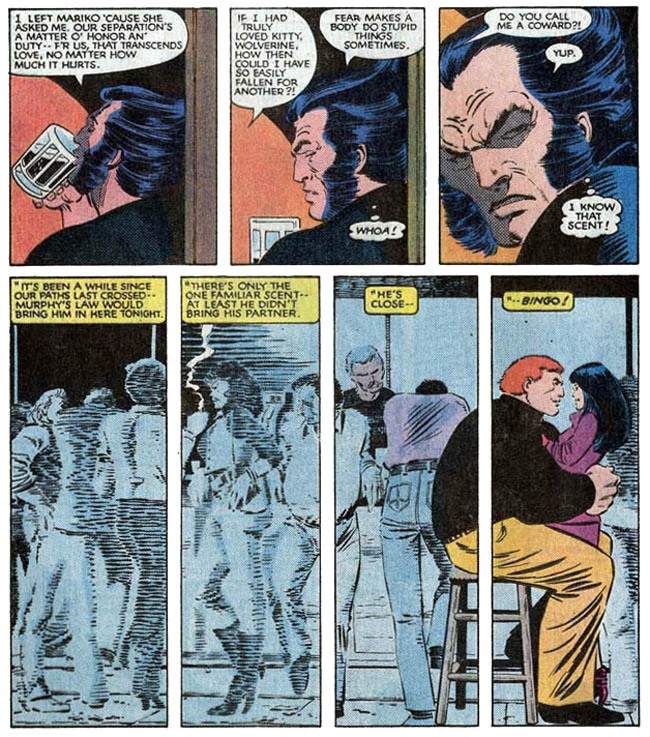 Kitty, during the Morlock first appearance – only four issues ago, no less than two months ago, had to agree to marry Caliban to save the X-Men. If it wasn’t for Caliban’s kind heart, she would still be living in the sewers as his bride. She would have to cut all ties with her former life – as no one would want to visit her in the sewers. Now, that would make an interesting What If? issue. I swear, I believe there is an interesting What If? issue in every other issue of this era of Claremont’s X-Men. Wolverine is angry that Colossus never even gave Kitty a ‘thank you’ for her sacrifice she was willing to make. Colossus broke up with her, not even giving her or them a chance to deal with this. Issue ends with Selene, willing to rule the world. Next issue, The Past of Future Days? Rachel is making her first appearance in this time line. There is a full page house ad for the New Mutants, don’t call ’em X-Babies anymore! Issue eighteen is on sale by Chris Claremont and Bill Sienkiewicz, which if that is your first issue of that series, your mind would be blown as that is the beginning of the Demon Bear Saga. With this Lockheed Month comes to an end. March will be back to basics, and I am still planning on April being Captain America Month. We haven’t had a basic month here at S&FwM since October! I like to keep track of the countries that only had one delegate at the Olympics, this year, we have 18 countries! Though it may not seem impressive when you see some of the rankings, just know this, that all of these incredible athletes can beat me any time they wanted to challenge me. I would ask, though, that they let me at least train for a year so that it isn’t as embarrassing for me. It would still be a huge waste of their time but at least I could say that I was at my best. These athletes are a credit to their countries and they did incredible! People seem to only interested in the top three athletes and so these heroes, who should be known as their entire country is counting on them to compete and compete well, go unacknowledged. I do wonder how their country’s footage of the games are covered. Is it nonstop coverage of only them up to their competition and then you see the entire show and then the next two days is following them still? I would like to know. I can only imagine they have a permanent newsteam that follows them about from opening to closing ceremonies. Tucker Murphy, for the second games in a row. Men’s 15 km classical, came in 84th out of 87. Peter Crook, the only second person to compete at the Winter Olympics for the country. Men’s halfpipe, came in 27th of 28. Dow Travers, for the second games in a row. Both men’s giant slalom, Did not Finished and suffered a mild concussion (hope he’s feeling better!) and Men’s slalom, which he also Did not Finish. Pan-To Barton Lui, the first male to represent Hong Kong in the Winter Olympics. Men’s 1500 m, came in 5th! Pretty impressive! Evgeniy Timofeev, replacing Dmitry Treleveski. Men’s giant slalom coming in at 61 out of 72, and Men’s Slalom, 41 out of 43. Kari Peters, the first ever athlete to qualify for cross-country skiing for his country. Men’s sprint, came in 79 of 85. Elise Pellegrin, this is Malta’s first time ever at a Winter Olympics. Women’s slalom, 52nd out of 60, and Women’s giant slalom 65th out of 67. Hubertus von Hohenlohe, will be the second oldest Winter Olympian ever (55 years old) and also break the longest span of competing at the Winter Olympics with 30 years. Men’s slalom, did not finish due to crashing. Hope he’s doing okay too! Muhammad Karim, only the second athlete to represent the country and Pakistan’s second appearance in the games, they were there last time in 2010 Vancouver. Men’s giant slalom, coming in at 71 out of 72. Julia Marino, presenting Paraguay in its first appearance at the Winter Olympics. Women’s slopestyle, came in 17th place out of 22. Michael Christian Martinez, the first athlete in 22 years to present the country and only the fourth athlete to do so. Figure Skating – Men’s singles, came in 19th out of 24. Alisher Kudratov, only the second athlete to represent the country. Men’s slalom, did not finish. Yohan Goutt Goncalves, Timor-Leste’s first time ever at the Winter Olympics. Men’s slalom, 43rd out of 43, not bad considering 23 were DSQ. Bruno Banani, Men’s Singles, coming in at 32 in the Luge out of 39. Antonio Pardo, the fifth ever to present the country at the Winter Olympics, and the first ever in a snow sport. Venezuela had missed out on the 2010 games. Men’s giant slalom, did not finish – which is unfortunate, he had a problem with his ski falling off at the beginning of the race. Jasmine Campbell, representing Virgin Islands after the country has missed out on the last two games. Women’s giant slalom, 56 out of 67 and Women’s slalom, 43 out of 60. Luke Steyn, Men’s giant slalom, 57th out of 72, and Men’s slalom, did not finish. Lockheed with his third cover appearance! Look how fun the X-Men are on the logo. With the opening page, in Tokyo, there are five teenagers. I should say that JRJR and Green are a fantastic art team. So this issue takes place, a week later from the previous issue. 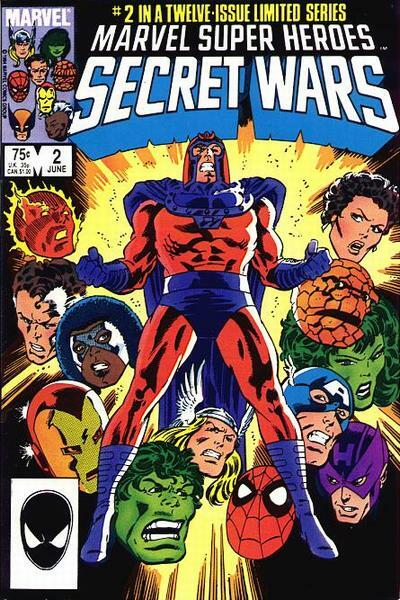 Inbetween the two issues, Secret Wars took place. It was a very interesting concept for an event. Publishing wise, there is no break between the two issues but an entire year’s worth of issues that make up Secret Wars. Which must have been interesting, Shooter has to tell all of the writers what he wants to have happen (or is told what the other writers are allowing him to let happen) and the writers have to trust it all works out in one month’s time. So at the end of Secret Wars, the X-Men are sent back to Earth along with Lockheed and his new green dragon lady friend. Unfortunately, once on Earth, the dragon turns into a gigantic dragon, one might say that she is Godzilla size. The teenagers see the dragon, and immediately open their character books to try to identify the creature. Which I adore that Claremont took the extra step that by now, in the Marvel Universe, there would be an industry based around in-universe handbook that civilians would want to buy. The X-Men teleport into the middle of the sky. They are surprised that they are not in New York. Wolverine is not thrilled to be back in Japan. The teenagers look and ask if Lockheed is related to the dragon, JRJR / Green draw Lockheed with his arms cross and a “Humph!” he is not thrilled with the situation. Lockheed really carries the issue. Xavier reads the teenagers’ minds and discovers it is one week later. He wants Rogue to fly to New York to see if Scott made it home and that Kitty is still safe at the Massachusetts Academy. Rogue asks Storm if she is okay with that plan. Wolverine thinks how unfair Xavier is being to Storm, she has sacrificed so much to be the leader of the X-Men and now Xavier is just taking the leadership position. Now that he can walk, he can be in the field. Mariko is in the War Room of the National Command Center, so clearly she is even more involved with Japanese politics. She is upset that the X-Men are in Japan. The green dragon lands on a skyscraper and starts destroying it. Storm believes that it is the new planet and her new size that is making her disoriented. All of these buildings being ruined and the X-Men are now trying to safe people on the ground. Sunfire finally shows up, being the sole Japanese superhero. Meanwhile at the Beachcomber Hotel in Tahiti, Madelyne Pryor has been enjoying her solo honeymoon when Scott drops out of nowhere in the worst outfit ever, or a very 80s outfit, barely a belly shirt and nevernude blue jean shorts. They have a nice conversation about how Scott didn’t want to leave her, he was forced to leave. Back in Tokyo, Storm is summoning all types of bad weather to take out the dragon. Xavier gets all of this debris all over him, he can’t feel his legs and he freaks the heck out. His mental thoughts are so full of panic that it causes the rest of the X-Men headaches. Such a great touch by Claremont, Xavier barely has had his legs back and so the threat of losing them, causes him panic. Colossus hurries over to Xavier to help him out, as enough is enough. Wolverine enters a fallen building. A mother is about to die and asks Wolverine to take care of her daughter. Wolverine promises to raise her as if she was his own. This is the very first appearance of Amiko, Wolverine’s foster daughter. 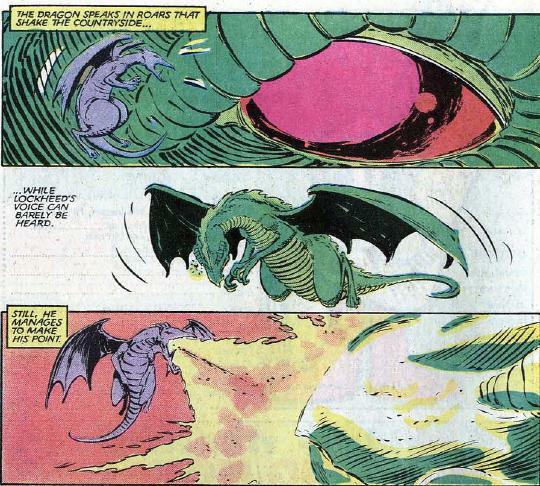 I know I’ve typed this before but JRJR / Green draw the heck out of a giant green dragon. Storm collapses and Sunfire catches her. Finally, Lockheed gets involved. Sometimes, a dragon has to do what a dragon has to do. He is the size of what one of her pupils would be. He states a “!? !” and gets her attention. We get a page of narration of what is happening. He roars at her that can be barely heard whereas her roars shake the countryside. He finally spits hot fire at her and she gets the point. She flies away sad. The Japanese government are tracking the two dragons when all of a sudden they fall off the radar. We never know where these two go, or where the green dragon goes before being seen down to size in the incredible Shadow and Flame miniseries. We see that Xavier can walk, so there’s that. Lockheed shows back up, Colossus wonders if Xavier can read his mind. Xavier can sense his thoughts but can’t read them – they will have to wait until Kitty can communicate with him. We get another fantastic arms cross Lockheed, this time with a “yah!” he is better than Xavier. Lockheed gives a “CooOOOooo!” and the team knows that he didn’t want her hearts or desired them. Issue ends with Senator Kelly and a guy named Phillip are about to pass through Congress – Federal Bill, S.1 — The Mutant Affairs Control Act, Introduced this day, 23rd January 1984 in the Second Session of the 98th Congress by Senator Robert Kelly. I so love how they didn’t give a dang about including real dates. Next year, I should try to do something for January 23rd. Wolverine answers the letters page. 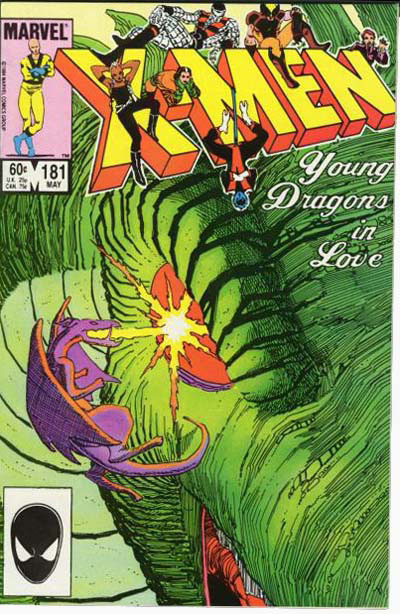 Issue opens with Magik teleporting the students into a mysterious new location. We learn later that it is Tabula Rasa, which means that this issue takes place in Montana! My adopted state. I like whenever Goldballs freaks out, he loses control over his gold balls and they scatter. This issue also has Phoebe having already dyed her hair, glad we didn’t have to witness her dying it. So now we have Irma being a brunette and Celeste still a blonde but finally, we can tell them apart, which is awesome. Magik teleports them in and then leaves, this is a test. Irma refers to her as Magik and Celeste corrects her to state, Professor Magik. I took it as Cyclops’ team wanting to be like Kitty and being called Professor now. The students have no idea why they are there, they assume it is a training exercise. It is fun to see how the students interact with their lives on the line as well as without the senior X-Men. Irma thinks they are in the Savage Land and Phoebe says that they are not. Tempus doesn’t know what a Savage Land is but wonders why it smells. Triage starts thinking that they are in the Danger Room. I like Triage and Benjamin in this moment. Triage states that they use the Danger Room to beat on them, and Benjamin tries to correct him with, train. Next Triage states that they use the room for mind games, and again Benjamin states, training. Goldballs starts thinking that they are in the Danger Room. We also find out that Hijack was a homebody before joining the New Xavier School, which I completely get that as why leave your house? Irma wonders if they are even on the planet anymore and that surprises Tempus as an option. Goodballs recommends that Tempus uee her time powers to get them out of there and she states that isn’t how her powers work, she thinks. Which I really like that we are still tracking their power progression. Hijack takes out his phone, Triage states that he shouldn’t even have that. Hijack retorts that he couldn’t get out of his phone contract, so he kept his phone. He’s older than these other students, so it makes sense that he is practical. Benjamin explains why no phones, Cyclops doesn’t want them to be able to be tracked by SHIELD or any other agency. Tempus pipes up that they should listen to what Cyclops wants. This turns the conversation and everyone starts claiming she has a crush on Cyclops. Which I have read online somewhere but I can’t recall when that is revealed or who she revealed that too. Hijack reveals they are in Montana, so of course, they are in Tabula Rasa. Irma now knows where they are. Before she can reveal the location, we are treated to a double page spread of them being attacked by a giant rhino-like creature. Goldballs loses his mind and also, control over his goldballs, big time. They all scattered. Goldballs and Tempus are one team. Hijack, Benjamin and Celeste are another. The third is Phoebe, Irma and Triage. A giant ostrich comes across Tempus and Goldballs. she throws up a time bubble but Goldballs was outside of it so only she is inside of it. He keeps losing his godlballs and one of them goes into the ostrich’s mouth and he defeats it. We get another two page spread, Triage and the two Cuckoos are trying to find their way. I really like the use of the green lighting in the scene. We learn that Triage is afraid of spiders and starts to panic, he is screaming. Irma goes into his mind and makes him brave and not afraid of bugs. They hear a rustle and it is Goldballs making his way to them. He was following the girl’s screams and wonders which Cuckoo it was. He lost Tempus. Meanwhile. 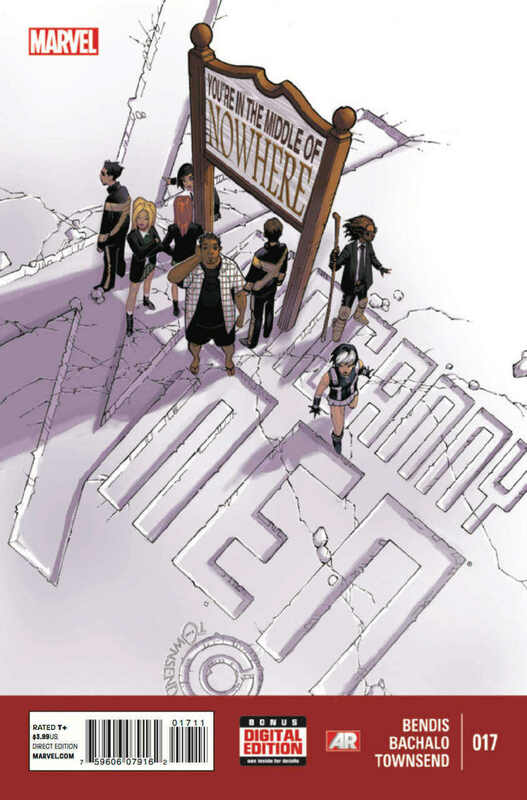 Benjamin and Hijack (the only ones in X-Men uniforms – Triage and the Cuckoos are wearing suits) and Celeste are trying to find their way. I like the yellow in this scene. Celeste explains what Tabula Rasa is. Celeste picks up a foreign mind. Next, she collapses. Then three dude no faces show up. Benjamin starts morphing into one of them, to try to communicate with them. Cut to Phoebe and Irma, who sense that Celeste is no longer with them. One of the no faces touches Benjamin’s face and he that lasts a bit. It ends with Celeste waking up, extremely angry. She wants to attack them and we see that the no-faces do in fact, have more than just eyes, and once we see their mouths, it have big teeth and are biters. That panel is very unsettling. Luckily, a time bubble appears around them. We see Tempus, with long air and a very torn uniform. She looks older, like nineteen to now twenty-five. She sees Benjamin and hugs him, she has been through a lot. The rest of the students show up, and Celeste telsl her sisters that she is okay. Eva asks Celeste, who she knows can read her mind, to not tell the others what she just read. Which is a nice moment as Celeste hates pretty much everyone who isn’t her sisters, and them, she barely likes. Goldballs shows concern for Tempus and she kisses him on his forehead. I’m sure it is the white streak in her hair but I’m getting a total Rogue vibe from the Aussie now. Triage offers to heal her and gets punched as thanks, what is that about? Maybe she likes being older or doesn’t want to lose the experience she went through. I find it funny, and this has to be on purpose, that Tabula Rasa was made via a time bubble of sorts that caused Beavertown, Montana to age 130 million years in a span of a day. Now Tempus has aged in a similar way, also in Tabula Rasa. Turns out, that SHIELD has shown up. We have some armored soldiers, Nick Fury Jr., Agent Coulson, Hawkeye and Spider-Woman. Goldballs whispers to Hijack, that this is why they don’t have phones. Triage reveals that Nick Fury isn’t a young man, Fury Jr. wants to move on. He must get that a lot. The agents and two Avengers are all shielded from psychic attacks, as Phoebe tried. Hijack takes over the SHIELD armor and by doing so, reveals his powers to SHIELD. I really need another word besides, reveal, I will work on that. Before he can force the attack, they are teleported back to the school. Hijack reveals that Cyclops is now going by Professor Cyclops, it just seems clumsy to me. Cyclops states that it was a training exercise and he failed. Celeste thinks he meant the students all failed and he only meant Hijack. Cyclops is proud of Goldballs, but Hijack failed. Not only did he reveal his powers to SHIELD but they did essentially get captured. Cyclops straight up kicks him off the team. 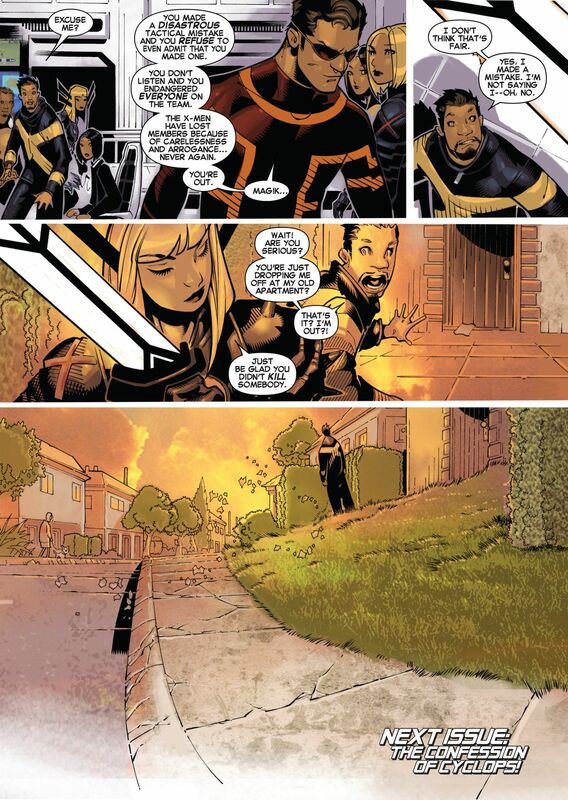 Issue ends with Magik teleporting him back to his house and that is it. No second chance, which I think is harsh. I do like how Kitty is in the room when Cyclops is talking to the students, she is clearly part of the Uncanny team, if it isn’t official yet, hopefully soon. Scott needs her as his right hand advisor. It would be foolish to not use her as a resource. Next issue’s cover looks stunning with a gun to Cyclops’ head. Issue opens where the last one ended, the heroes are being surprised attacked by the villains. 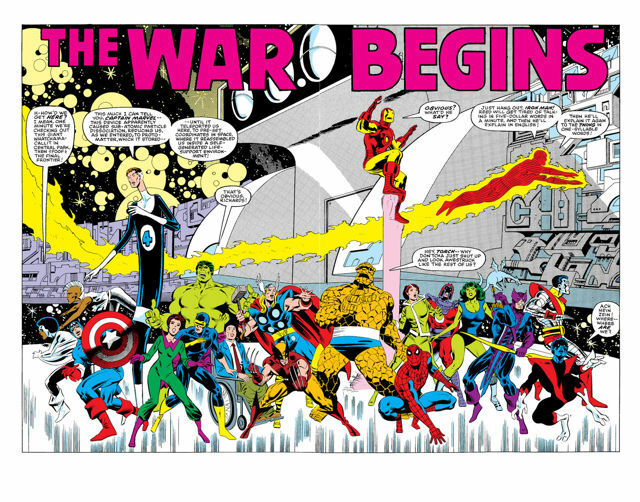 Captain America orders the heroes to form a wedge, that he will be at point. They need to close ranks as the villains have the advantage of just blasting at anyone staring at them. Bulldozer and Piledriver are on this machine that resembles the War of the Worlds tripod. Piledriver has the responsibility to remind us readers, and the villains, that the Beyonder promised their hearts desire if they defeat the heroes. Cap wants Hulk to start going on the defense, when Hulk is hit by one of the energy weapons, that apparently hit as hard as Thor. Someone who deserves to get hit by something as hard as Thor is Colossus and once he does, he is knocked the heck out. This little moment here is the beginning of Colossus’ arc in this series. Lockheed lands on his chest and starts flaming away. Wolverine is highly impressed, as he should be. They are both scrappers. Cap notices that the villains attacks are unfocused. Hulk, who only at issue two, is wasting a bunch of time talking away. I know he now has Banner’s brain, so is probably wanting to take advantage of being able to communicate with his fellow heroes and work on his bad reputation but every time he talks, you know he is going to say a bunch. He can’t just throw a rock and hit somebody. When he does try to throw a rock, due to all of his dialogue, it is blasted. Reed comments that half of the heroes were knocked out due to the surprise attack. He tries to cover them with his elastic body. She-Hulk and Spider-Man are still in the fight. Xavier, Rogue and Hawkeye were some of the ones who were knocked out. Reed wonders where they got the energy weapons, as they were barely on the planet for a small amount of time. Kang comments to the Absorbing Man, to not to get cocky, as they haven’t won until the heroes are all dead and without Doom, they are susceptible to a counter-attack. Kang then states that t was a shame he had to kill Doom. A little bragging on his part. This transitions to Doom, reviewing the previous issues events from his perspective. He still wants the Beyonder’s powers, he doesn’t want to wait until the needless fighting is over. Doom comes to Galactus who is still knocked out. In an image that has stuck with me since reading it for the first time, Galactus lifts himself by sheer will. He doesn’t lift himself like a guy would after laying on the ground. His entire body, in one movement is lifted and then placed on his feet, done of this bending over, lifting the shoulders first and then balancing. Galactus doesn’t have time for all of this. 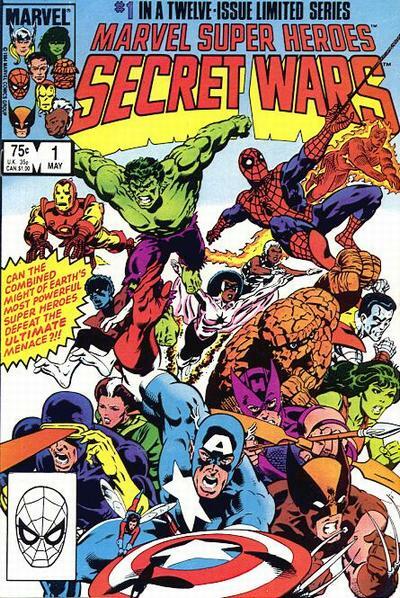 By the time I read this, which was in a trade format, this was already a legendary storyline and my mother bought it along with ten other trades so that I can read some classic Marvel stories that I kept reading about. 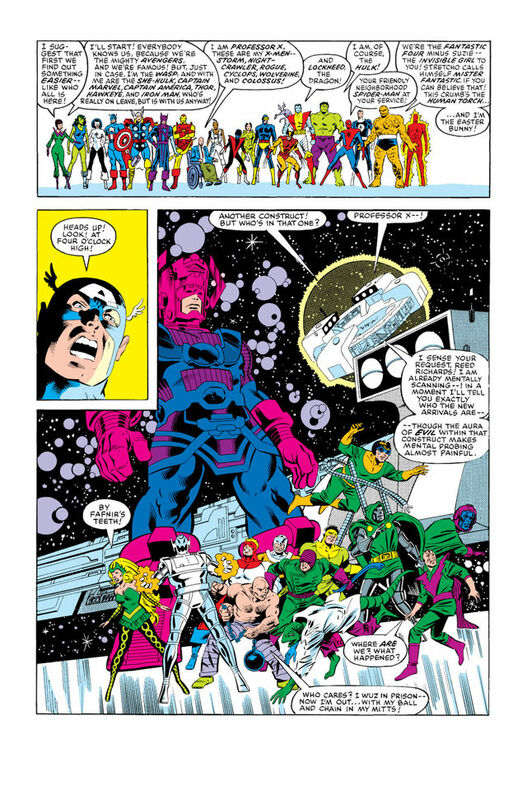 Doom tries to communicate with Galactus, trying to form an alliance, but Galactus ignores him as he is as beneath him as an ant is beneath Doom, which Doom of course finds insulting. He takes no comfort in the fact that Galactus is the ant to the Beyonder. Doom finds his way back to the villain base. Doom suspects what he needs to obtain this power is in the base. Doom comes across Ultron, still deactivated and plans on using the shell to his own ends. Cap is trying to get the heroes into a defense position. He gets Iron Man and Thing to pull back. He gives Thor an order and Thor hits the ground with his hammer, knocking several of villains over. Hulk is attacking the tripod. Human Torch tries to give him a command, and Hulk states that once Johnny can tear the tripod like it is paper, and only then, can he tell the Hulk to do something. I like Hulk with some attitude, just keep it pithy! Hulk knocks the villains down and Cyclops blasts them for good measure. Good job, Scott! We get She-Hulk versus Enchantress. She-Hulk is surprised Enchantress can take one of her punches, Enchantress states of course she can, she is Asgardian. This gives Jennifer permission to not hold back and she doesn’t. What I wish she did hold back, saying “tubular to the max” ooof, the 80s everybody! The villains realize this isn’t going their way and flee. Thor asks Cap if they should follow and Cap wants to regroup. Cap asks Storm to do some recon, she is glad her powers work on this strange planet. She wonders if this was part of Beyonder’s plan, to make as perfect of a fighting situation as possible. Storm finds them this gigantic tower of a fortress. Iron Man states that it is bigger than the Pentagon, as he is Rhodey and he is a military man, and Hulk corrects him that it is at least 54 pentagons. Which would seem like a jerk move but saying it is bigger than one thing when in fact it seems to be 54 times that one thing, I think Hulk is in the right. Plus, he has to comment on every little thing. Hulk offers to lead the way, if there are any traps he won’t be hurt as much. Cap is quick to say that Iron Man and Thor might argue that they can accomplish the same thing, he likes to encourage Hulk. No one states it, probably because Hank Pym isn’t there but with the Hulk working with the team, we have the classic Avengers line up again. Except Tony isn’t Iron Man, as well. 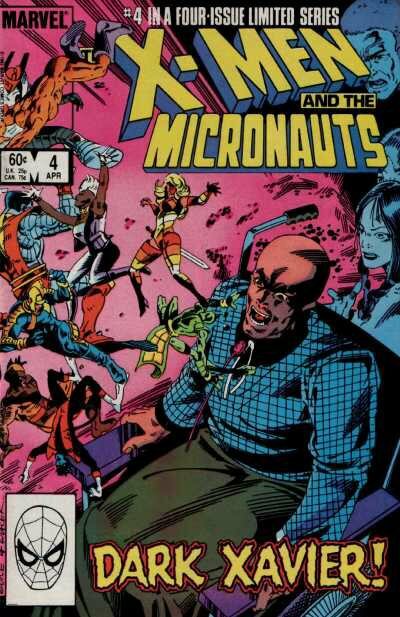 I wonder where Hank Pym is during this? Probably off being a professional scientist. Kurt sees Colossus looking around. He asks what he is looking for. Colossus, trying to still pretend to be a good guy, states he is looking for Lockheed. He hasn’t seen him since the battle. If anything were to happen to him, Kitty will be devastated. This will be the last time this adventure that he cares at all for her feelings. 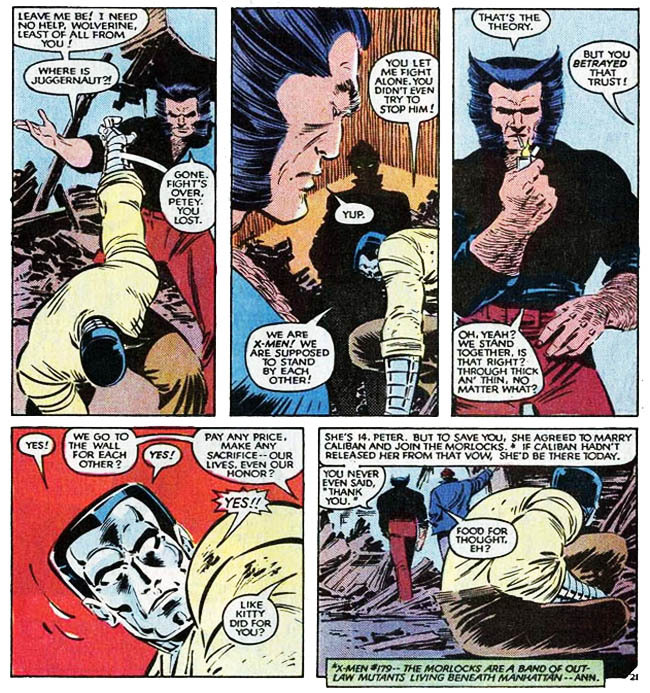 Wolverine proving he is also a jerk, and probably explaining why the X-Men have the reputation that they do, states that it isn’t a sure thing that anyone is getting back and to forget the dragon. I mean, really? Lockheed earn his respect only so many pages ago and now he’s writing him off!?! Later, Reed tells Cap that their prisoners are secured. Their prisoners are – Bulldozer, Enchantress, Kang, Lizard and Piledriver. He apologizes for taking so long to figure out the computers in this base. Reed also discovered a healing device. Cap compliments Reed, stating that he has earned the name Mister Fantastic and his reputation for being both compassionate and courageous. Cap tells Reed to gather all of the heroes to the giant dome on the 451 level. Which really? That tower is too big, hopefully everyone isn’t too scattered throughout the tower, as with that many floors, and rooms, it can be confusing. Cap has gathered all the heroes, Wolverine wants to go after the villains now. Cap wants to secure their base and rest. He has Thor, Human Torch and Iron Man on patrol. We see Magneto’s new base, he is deciding his next move. The villains make it back to their base, Doom has renamed it Doombase. The villains mock him and he unleashes Ultron on them. They get in line. Doom makes a point to make sure Molecule Man is happy. Octopus wants to know Doom’s plan. Doom tells him not to worry about that, but to worry about what Galactus has in mind. Magneto is, making his way to the hero base. Wasp shares with She-Hulk her concerns about not getting home. Cyclops is complaining to Reed about how he was on his honeymoon and not in costume. Reed shares how he wishes he was with his wife. Thing overhears this and wishes he was with Alicia. Spider-Man is talking to Human Torch. Johnny tells him that the Fantastic Four have been away from Earth before – which is a great point, most of these heroes have been on other planets for days, maybe even weeks before. Why so worried this time? Spider-Man’s danger sense goes off. Torch makes a reference to how Spider-Man usually deals with muggers. Which is an od comment, as by now, Spider-Man has been around for twenty years, our time, and has one of the best rouges galleries of all time. Johnny goes for help. When he comes back with the other heroes, we are treated to a very funny panel. They see Spider-Man being thrown across the panel, in a metal ball as he shouts that it is Magneto who is attacking. Thing states they figured that part out already. Fun times. Magneto captures Wasp. He was going to destroy the power station of their base, but had to change his plan. Thing tries to stop him but reverts back to Ben Grimm. Monica, Captain Marvel, asks if anyone else noticed that the X-Men didn’t show up to fight Magneto. Captain America tells her to not look for additional problems, especially as they have a real one to deal with. Galactus is clearly starting something on his mountain top. This concludes our Secret Wars portion of Lockheed Month. We have two more issues of Uncanny X-Men before it ends. For Secret Wars, one day, we will cover issues four and five, that reference Kitty, eleven has a reference to Lockheed and twelve has an appearance by Lockheed. Look how amazing Mike Del Mundo’s cover is! 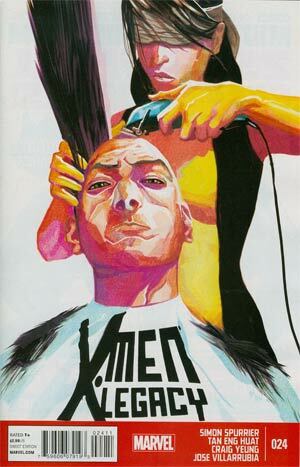 Love that if you shave Legion’s ridiculous hairstyle, he sort of looks like his father. Now, due to Hastings’ inability to actually keep track of their comic shipments, I don’t have issue 23, so I had to add it to my Wishlist as well as play catch up with this issue. This issue opens with the conclusion of David and Blindfold’s mind sexcapades. They tell each other that they love each other. Once done, it is now on to the conclusion to this wonderful series. One of them will not survive this final confrontation, as it has been predetermined since the beginning of the series. 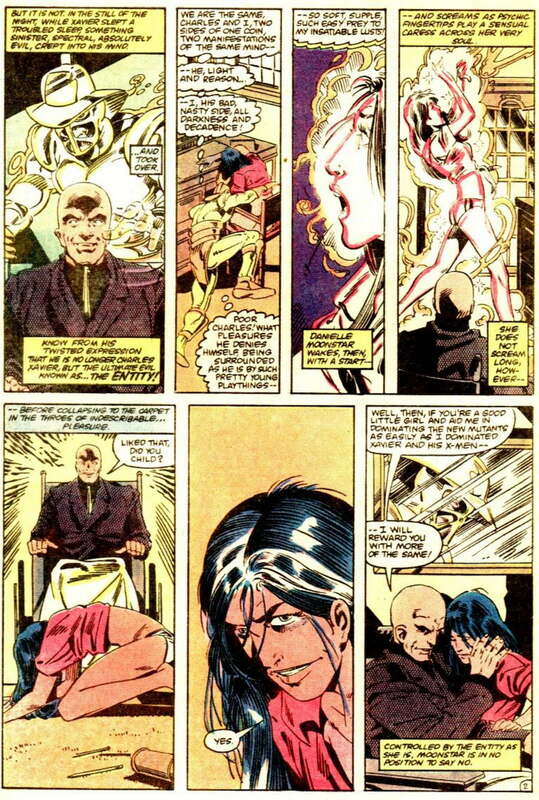 Blindfold has to stop David from taking control of all mutant minds in the world and he has to stop her from stopping him and knowing true power. He is on a course he cannot stop. Blindfold is capable of stopping David, but she can’t bring herself to do it so now it is up to him to either stop himself or continue with his destiny. David and Ruth are in his mindscape. He is down to his core personality and the Weaver, the final personality that has yet to be absorbed. David can’t bring himself to kill Ruth or watch as she dies so he closes his eyes. David goes on about how he rules him. David wonders what would have been if his life was a little different. If Xavier stuck with his mother, Gabrielle Haller. He feels like he could never live up to his father’s example nor could he do anything about it. David could never match, be or impress Xavier. Legacy is another word for burden. He realizes that he has to stop complaining and has to start doing the mature thing. We get a nice panel recapping with images what has come before, we see Pete Wisdom, Abigail Brand and his fist fight with Cyclops. Ruth hears a voice in David’s mind, the voice that forces her to speak in dialogue that isn’t readable at all. She thinks she is dying and goes toward the voice. We get an awesome splash page of Xavier, from the afterlife, beautifully drawn and colored. Xavier says something that every son wants to hear and every father needs to say more often, I’m proud of you son. Since reading this comic, I’ve said it to my two month old every day and plan on doing so. I swear, it almost brought a tear to my eye. This moment here is going to cement this comic as my favorite and I can’t imagine what will knock it out of consideration but I will have to update my list. This brings out the Weaver to David. Weaver states that Xavier is proud of him and David states that his father is proud of him. Weaver implies that it is David who is the split personality and not the Weaver. With this, they are merged and finally, David is whole. Now that they are merged, David can touch all of reality and time. This is where I get confused over what happens and what doesn’t. He has all of this power and needs to figure out what happens next. he states it is no effort to restore the dead, so we see Abigail Brand waking up, Chamber’s power coming back and that young lady holding her head. He asks where he should stop. Should he bring his mother back from the dead? Should he bring Ruth’s brother back to life? I take it that he doesn’t restore those individuals. We see Magik, and how David helped her kill the Elder Gods, which resulted in Illyana being put in the X-Brig on Utopia but still on Cyclops’ Extinction Team. David is tempted to burn all of reality away and start anew. He recognizes that he is not a god but he’s not arrogant. He’s not a judge nor an acolyte. He has come to a decision. He realizes what it means to be a grown up. It isn’t about accepting responsibility but when to step off. He is going to rewrite history so that he was never born and let history sort itself out. Ruth shouts for him to stop. David states this great line, stories are stronger than time and space. Lives still matter whether they happened or not. It looks like David turns to camera and tells us that this isn’t an unhappy ending, this what has to happen. It isn’t a defeat. That’s old thinking. He doesn’t want to live in a universe where he can’t rule himself. With that, he is out of the timestream. So if he is never born does that mean the Elder Gods are not dead and Illyana spent all of that time in the brig for no reason? Does that mean Age of Apocalypse never happened? Pixie enters Ruth’s room and tells her she needs to come out. We enter the scene at the time when Xavier had just died. Pixie doesn’t know who this David that Ruth keeps talking about. Ruth starts repeating, no, over and over. This freaks out Pixie and she leaves her alone. We enter Ruth’s mindscape and we see that there is a piece of David that still exists in her mind. Which is going to be weird for anyone in the room with her but she will probably learn to not respond to him aloud. Issue ends with Ruth stating that she rules her, which is awesome. We get Haut’s version of Oya, Quentin Quire, Genesis and Kid Gladiator and I like his style on these characters. The final message is – The things that stay with you forever are the things that come to an end. Issue ends with a letter from Simon Spurrier, which is very nice. Also, Mr. Spurrier, I just want to say thank you for a perfect 24 issues. I know I didn’t read nor buy every issue but the ones that I did, I enjoyed the most every week they came out. I know there was no chance for this title to be considered a core title but when the core titles were off on crossovers or directions that were not amazing, this title was always on point and amazing. See Nightcrawler’s feet on the cover, with that empty space? That is where Kitty was, until Shooter figured this would be a great place to end the Kitty and Colossus relationship – because of their age difference. The heroes are teleported from Central Park to a space station. We see Lockheed floating between She-Hulk and Hawkeye. Poor little guy seems rounder than usual. 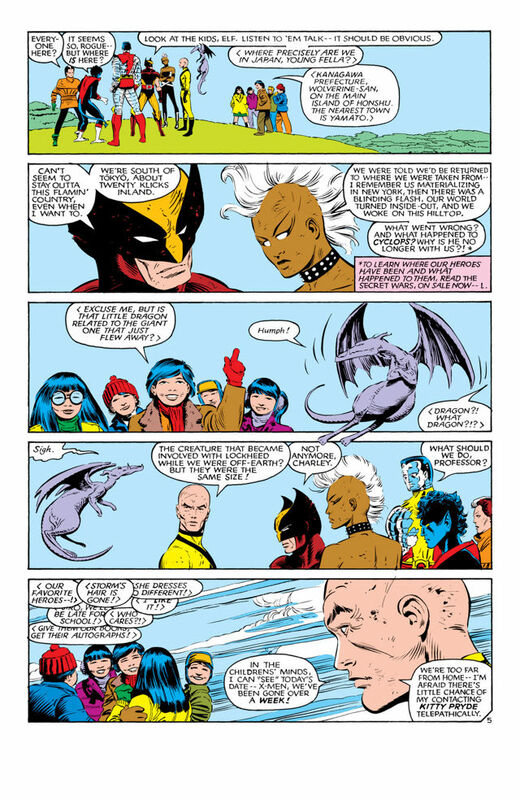 If you read Uncanny X-Men 180, you would see (or not see) that Lockheed was not with the X-Men as they entered the building that brought them here. They had just drop Kitty and Doug off at the airport as they were heading to the Massachusetts Academy. Xavier is also in a wheelchair, for some reason. Reed explains the most obvious using the biggest words possible. Hulk agrees, he has Banner’s brain at this point. Iron Man is Rhody as Tony is off being drunk. There is this awesome panel where Wasp wants to introduce everyone – which is super new reader friendly, if not awkward. She also goes on about how everyone should know the Avengers, as they are famous. Xavier introduces his X-Men, leaving out Lockheed, as Xavier is a jerk. Colossus, in his last decent act in this series, pipes up to introduce Lockheed. I wonder if there was ever a plan to get rid of Lockheed during this series? The heroes are : Wasp, She-Hulk, Captain Marvel, Captain America, Thor, Hawkeye, Iron Man, Xavier, Storm, Nightcrawler, Rogue, Cyclops, Wolverine, Colossus, Lockheed, Hulk, Spider-Man, Reed Richards, Thing and the Human Torch. A second ship appears. This one has the villains. Doom has no time to be cute with introductions, he states who everyone is. The villains are : Doctor Doom, Enchantress, Ultron, Absorbing Man, Wrecker, Thunderball, Piledriver, Bulldozer, Kang, Galactus, Lizard, Molecule Man and Doctor Octopus. Back at the hero ship, Thing points out that Magneto is counted amongst them. Magneto defends himself, he is no murderer, he only defends his race against humans. Everyone looks outside and sees a galaxy get destroyed. Then they see that a new planet is formed from various other planets. They all know that there is an even greater force than Galactus. Ultron freaks the heck out and attacks his fellow villains. Doom convinces Molecule Man to throw Ultron at Galactus. Galactus lifts Ultron to his eye level and depowers / drains all of Ultron’s energy. We hear the Beyonder’s voice setting up the plot. The two sides shall fight, the winner gains their hearts desires. Galactus isn’t afraid and leaves the ship to attack the source of the voice. Doom tags along. They get to the crack of the universe and are swatted away. Now everyone knows who is streets ahead. The two ships land on Battleworld. Magneto still has to defend himself to Wasp and the heroes. Cyclops stands up for his fellow mutant. Hawkeye grabs him by the shirt. Wolverine states that Cyclops is a jerk but he is their jerk. Cyclops says he can defend himself. So interesting how this is Marvel’s first big event so this is the first time many of these characters are going to spend an extended amount of time together. Also, how separate the X-Men are from the other heroes. Magneto is tired of all this and attacks. I like how he claims only Thor may be s equal. I don’t care for how Hulk explains how Magneto is able to fly away using magnetic fields. Let’s not be overly explanatory. Xavier states they need a leader, and turns to Reed. Reed is worried about his pregnant wife, who is due any day now. Reed turns to Hulk, Human Torch states that he has a hard time not thinking of him as a mindless monster. Wasp, states she is the leader of the Avengers but looks to Captain America to be the leader during this adventure. Cap isn’t sure, Xavier states he can read people’s hearts and they will all follow him. Wolverine states that Cap is only a man, who would follow him. Thor, God of Thunder, states he will – shutting Wolverine’s dumb face right up. I do love how Secret Wars is where Captain America becomes the beloved tactician of the Marvel Universe. Also, Doctor Doom becomes the premier villain of the Marvel Universe. Both were respected in their own titles, but it is this series that cements their standings to the rest of the characters and the readers. Galactus is still knocked out, but Doom stands and walks away, he must have that power. He gets to the villain base, they all want him to lead. Of course they do, but he has no time for that and attacks them. So much infighting! I don’t remember Kang being in this at all. As Doom leaves, Kang blasts him from the sky. He lands near Cap. Cap offers him a hand up. Doom needs no help to get back on his feet. He then attacks the heroes. Before they can come up with a plan, Wolverine turns around to see all the other villains have arrived. That’s how the issue ends. Starts a little rough and Lockheed is not seen again this issue since he was introduced but he shows up next issue before not being seen again until the final part, he is at least referenced in issue 11. 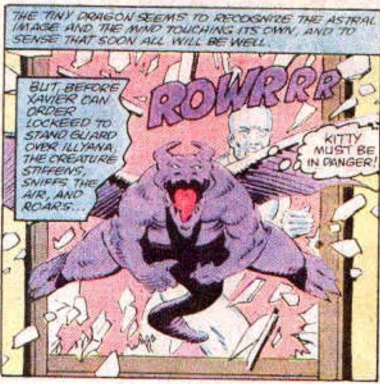 Kitty is referenced in issues 4 and 5, for the record. Not sure how excited I am about Original Sin. It strikes me as an Avengers event just like Age of Ultron was so I will most likely pass on it. All of this secrecy is hurting the title, from my vantage point. Now that I know the secrets are all made up, meaning that they are not coming from continuity but are never-been-told-to-readers types of secrets, I will definitely be passing on this until they announce the X-Men Tie in. • He sought revenge… and found responsibility. From that night on, a new life began. No interest in this. Yet another retelling of Spider-Man’s origin, which only took eight pages to do the very first time. I wish I could be more excited about this but everything I’ve read seems like this is highly missable. I am tempted to only get the first issue and the last issue as those will be the most important ones but I also suspect that everything that happens in this series will be repeated when Scott returns to All New X-Men. Yet another new number one that I have no interest in. Who knew this series was suppose to be a noir / horror series? Could this be the issue Kitty shows up in? One can only imagine that she would be named in the solict. Maybe Amanda shows up? That could be cool. So excited about this miniseries! Glad it really is a Doop & Kitty series, I thought maybe that was only the first issue plot. Still only interested in this if Kitty or Magik show up but the storyline has been pretty great thus far. Wow, almost as if there is a movie of his coming out this month! Is it just me or does this sound not very good? Also, Giant-Size should really be kept for the X-Men. Get your own thing, Spidey! I am going to have to miss this but maybe with this third relaunch of the Ultimate titles, the continuity will be tighter between the three titles. From what I’ve read online, this would make Jessica the third Black Widow in the Ultimate Universe. Crazy, so I wonder how involved Kitty is in the first issue but glad she is officially joining the team in the second issue! Did you see the cover to Fantastic Four? I like that Reed and Sue’s uniforms are the opposite of each other but I rather Reed’s was the official suit for both of them. Sue’s has way to much red going on for my taste. I guess that’s the whole point, to change the Fantastic Four’s costumes from mostly blue or black to black and red. I will need to see it more. • Jubilee’s worst nightmare has come to pass… and the future’s being rewritten. I wonder who the dead student will be? Just in time for both Spider-Man and the X-Men films! Still not buying it. If I want to read Spider-Man and his Amazing Friends, I will reread those Ultimate issues. Someone dies? Has to be either Marrow, Fantomex, Pyslocke or Cable? I can only imagined it can’t be Psylocke or Cable. Whose 75th Anniversary is it? Timely’s? Has it really been five years since the 70th Anniversary border covers came out? Still not sure why they did 70 when they should have waited for 75. Can’t believe the tie in to Days of Future Past film is to have the Future Brotherhood X-Men come back? Who wants that? At least Immonen is drawing them. I wonder how Jean is different now, maybe she wants to go back to the past and course correct the present to save the future? Maybe? Also, maybe we will get more about the events that lead to their future, as there were some comments that were intriguing. Finally!!! Getting to know what happened to Dazzler this entire time. The answer better be that she’s being well treated! Glad Cyclops is getting back to the revolution too! That guy has been distracted as of late. Not buying this but how cool is it that Gail Simone is writing for Marvel again? That’s pretty cool. It took this long before Cornell found a way to work Pete Wisdom and MI-13 into his Wolverine run? That’s some restraint! Unless Pete makes a reference to Kitty, still not buying it. Which he may as every third appearance by Wisdom, he makes a Kitty reference. They have me with issue 27 and the wedding but then I’m jumping right back off. Glad he is taking his bride on a honeymoon. That’s the least he can do. I wonder if this is to test the market for a new miniseries? Maybe one for the X-Men? Whoa, now this is overly expensive! Even with an art gallery and a hardcover, unless they sneak a hundred dollar bill in there, how can this be worth $200!?! Before even the first issue comes out, the trade is being solicited. Hopefully its good. It would be instant buy if they just reunited the original Excalibur for one more adventure. I wonder if $25 for the trade beats buying the individual issues? 8 issues times 4, $32, yes, it is cheaper to buy the trade. Problem solved. $45 seems odd for a sampler of stories. 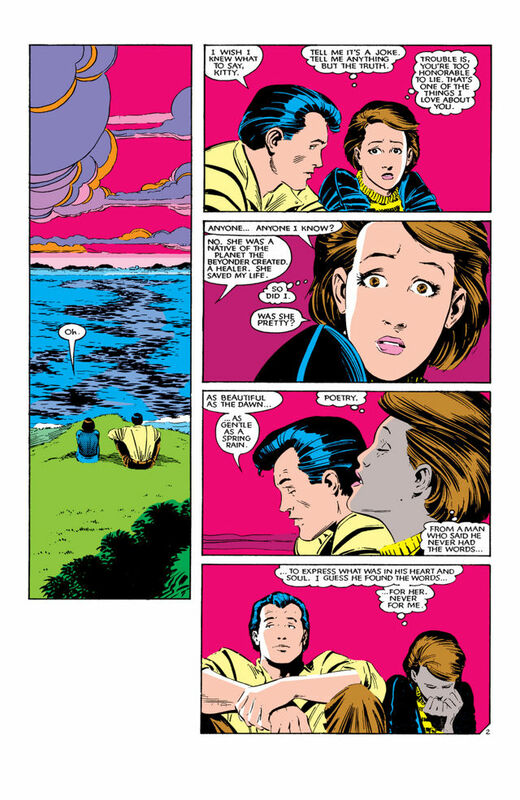 If you read Kitty Pryde & Wolverine 1, you are definitely going to want to read the other four issues. Same for Nightcrawler 1, you will want the other three issues. Same holds true for Squadron Supreme and the other eleven issues plus the Captain America issues that the trade includes. So if I’m doing my math right, I’m only set to buy four comics in May. All New Doop 2, All New Ultimates 2, All New X-Men 27 and Uncanny X-Men 21, so four times four is sixteen dollars so that’s easily affordable. I quit my job at Hastings to spend more time at home with the family so now I’m no longer saving that one dollars. On the maybe list is only Uncanny Avengers 20, so twenty dollars is perfect for me for an entire month!